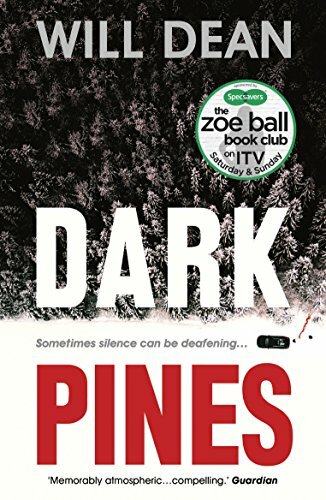 Just a quick post to say I went on to order Dark Pines by Will Dean (I know I am very late to the Tuva party). It is currently only 99p on Kindle. I have heard only great things about it. I was also very lucky to be at the best panel I have ever attended at any event. It was a Bloody Scotland with Jacky Gramosi Collins chairing and Will Dean was on the panel and it was hilarious. So if like me you have been eager to jump into the book and especially with book two of the series just released. Now would be the perfect time. Can Tuva outwit the killer before she becomes the final victim? She’d like to think so. But first, she must face her demons and venture far into the deep, dark woods if she wants to stand any chance of getting the hell out of small-time Gavrik. I’m late to the party as well! I have both books and I plan to read them soon! I just read Kaisha’s review for Red Snow and I think we’re in for a great series! So great that you got a chance to see him at this event! Yes, I think it will be awesome! I am so excited. Kaisha’s review was awesome. Yes, he was such a gentleman in person. Hope you get to meet him too one day.